Grapefruit, honey, apricot and white flowers. Well-balanced, with notes of citrus lemon, lime, dried honey and a touch of marmalade. Well-balanced, with a viscous texture and a good level of botrytis, demonstrating fine minerality and tautness. Dried mango, quince and spice all interlace the focused finish, which is long in the mouth. 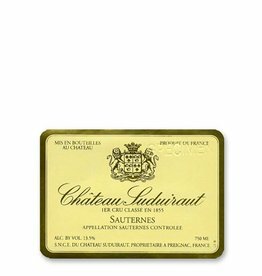 The palate is medium-bodied with fresh, vibrant honeyed fruit that builds and builds in the mouth in tandem with a killer line of acidity. Apricot, peach, a touch of honeysuckle and quince with a touch of almond. Lemon thyme, honey and spice, with notes of apricot and white peach. Blossom-like aromas and notes of stone fruit with a hint of honeysuckle. Honey, vanilla and almond scents, still a little new oak to be fully assimilated but demonstrating superb focus.